Building a Hackintosh for video editing can be a tricky business. Editing 4K video requires a powerful computer. 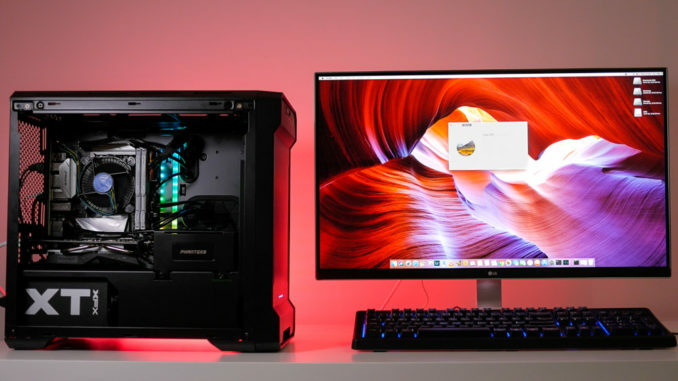 Although I have a 2017 MacBook Pro 15″, which has been my main video editing machine for the last 8 months, I decided to build a Hackintosh as a second machine. Why a Hackintosh? To avail of the flexible storage options, the ability to pick and choose the best parts for increased performance, and to save money. For video editing, the most important components are the graphics card, the CPU, and the storage. Buying a Mac capable of seamless editing of multiple 4K video streams can be an expensive proposition. But how about a Hackintosh? Can it be done for $1000? We’ll start with a list of the components I chose for this build, along with the reasons I chose them. I wanted a small, compact system, so a Mini ITX board was the preferred option, and of the Coffee Lake boards available, the Asus ROG Strix Z370i provided the best features. You get two M.2 slots, ideal for running a pair of NVMe drives in RAID 0 for some super-fast transfer speeds, and a USB-C port. It also has a DisplayPort output for the IGPU (4K at 60hz) and four SATA 3 ports. 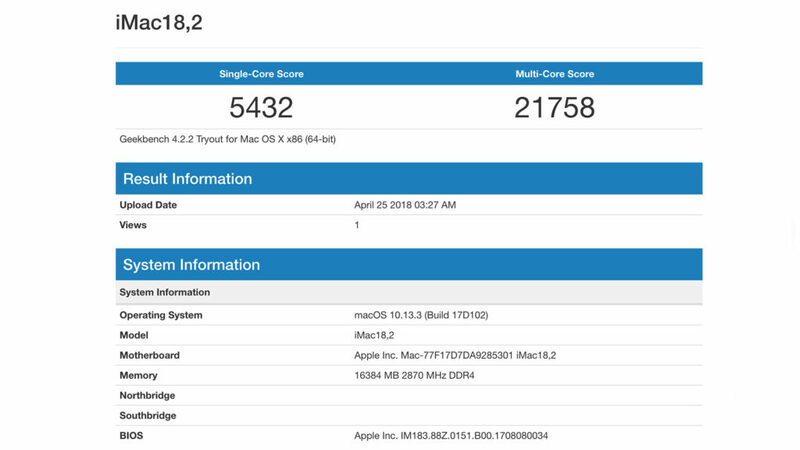 All of the Coffee Lake Core i3, Core i5 and Core i7 processors will run MacOS X High Sierra or Mojave without problems. However, the Intel Core i5-8400 – a 6-core CPU running at 2.8Ghz and with boost speeds up to 4Ghz – offered the best performance for the price. FCP X on the Mac is heavily optimised in favour of AMD graphics cards. 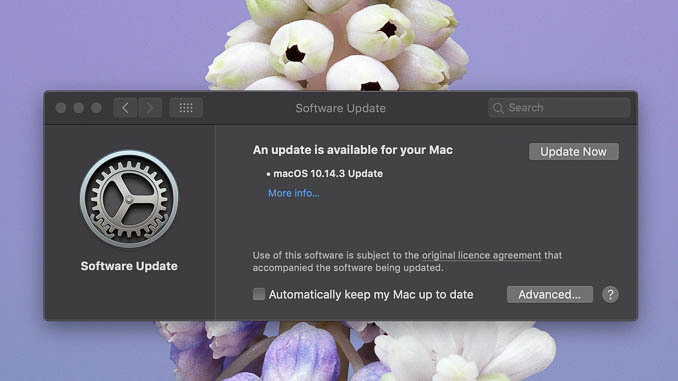 OS X from versions 10.12.6 onwards also have native drivers for AMD RX 560 / RX 570 / RX 580 cards, so you’re not reliant on third-party drivers as you are with Nvidia cards. That’s why, for this system, I chose an RX 560. An RX 570, while obviously being more powerful, would have added an additional $150 to the cost. As I wanted to stay under the $1000 budget, an RX 560 was the best choice and still provides excellent performance under OS X. 16GB of RAM was a must for 4K video editing. The increase in performance going from 8GB to 16GB is massive, while the increase when going from 16GB to 32GB is negligible (unless you’re working on extremely large projects.) So, 16Gb is the “sweet spot” for price-performance right now. Kingston have a solid reputation for producing high quality RAM at a very good price, so I chose a 16GB kit of Kingston HyperX DDR4 at 2666Mhz. I wanted an NVMe drive as the main media storage drive, because of the fast transfer speeds. Samsung produce the best SSD’s on the market, and the 960 EVO is one of the best bargains available in terms of performance vs cost, with sequential read speeds of up to 3200MB/s. 250GB is pretty small, but thanks to the motherboard having two M.2 slots, I can add a second 960 EVO at a later date, and run them in RAID 0 for extra capacity and even better transfer speeds. For the boot drive I chose the Crucial MX500 250GB. Only the OS and applications were going to be stored on this drive so 250GB was more than sufficient. Crucial are a reputable manufacturer and the MX500 has a good reputation as a solid, reliable performer. It’s also available for a very reasonable price, which helped in keeping the total under $1000. I chose an external drive as the storage drive for this computer – the Seagate Expansion 3TB. This may sound like a strange choice for a desktop, but the reason was very simple – it was cheaper than buying a 3TB internal drive. It took less than 10 minutes to open the casing and harvest the standard 3TB SATA drive inside, to use internally. The drive inside is a Seagate Barracuda 5900RPM, with sequential read / write speeds in the region of 150-170MB/s. The case was one of the most difficult decisions for this build. I eventually chose the Enthoo Evolv Mini-ITX. It’s a very clean, compact, well-designed tower which is available with a variety of side panels (windowed, solid metal, or full tempered glass) and in various colours. Despite measuring just over 15 by 9 inches, a full-size graphics card fits without issues. It has some of the easiest to use drive brackets I’ve ever seen in a case, and cables are neatly tucked away behind the rear panel, keeping the main compartment clean and tidy. For the PSU, I chose the XFX XT400. The XT series are high quality, reliable power supplies which are available for a very competitive price. 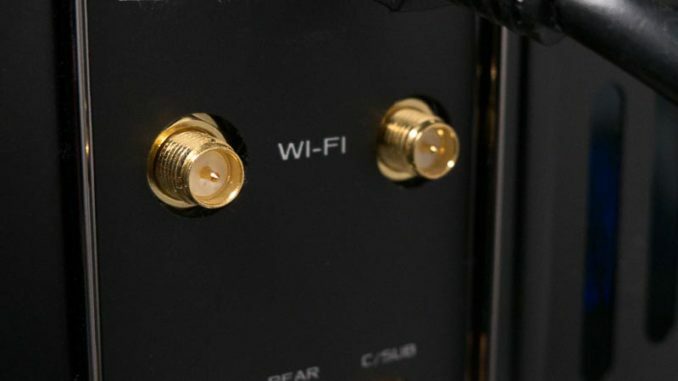 Another feature that attracted me to this PSU is that they come with a true wattage guarantee – the 400 Watt stated capacity is what this PSU is actually capable of. 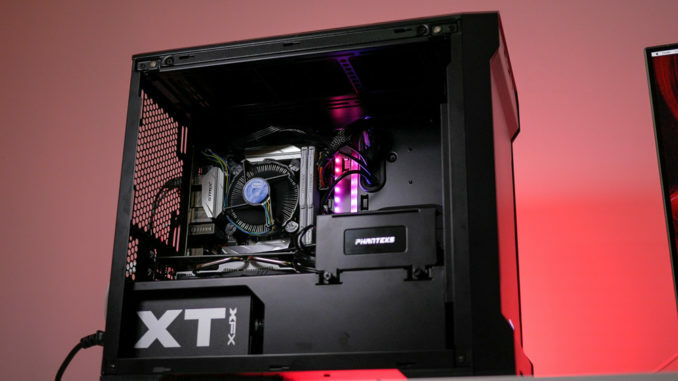 400 Watts is sufficient to power the motherboard, drives, CPU and the RX 560, but if I were to upgrade to an RX 580 ion the future, I’d need to upgrade the PSU to the XT600. So, what’s the performance like? 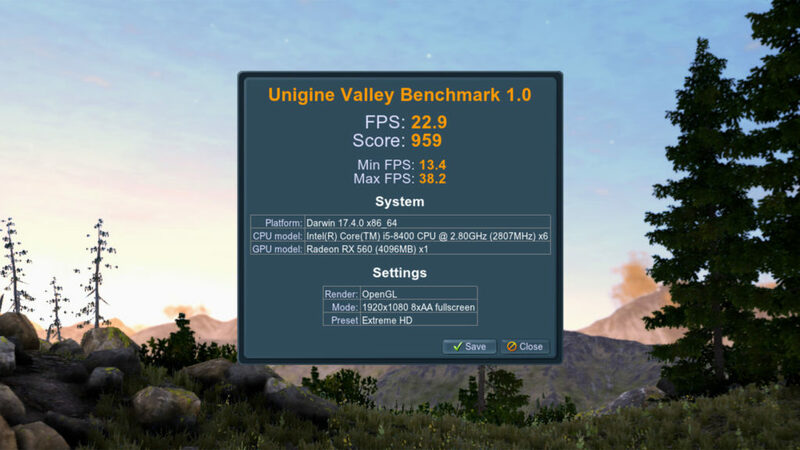 Let’s take a look at some benchmarks, starting with Geekbench 4. All of these benchmarks place this $1000 hackintosh machine firmly ahead of my $2899 2017 15″ MacBook Pro with touchbar. In many cases, the hackintosh is twice as fast. 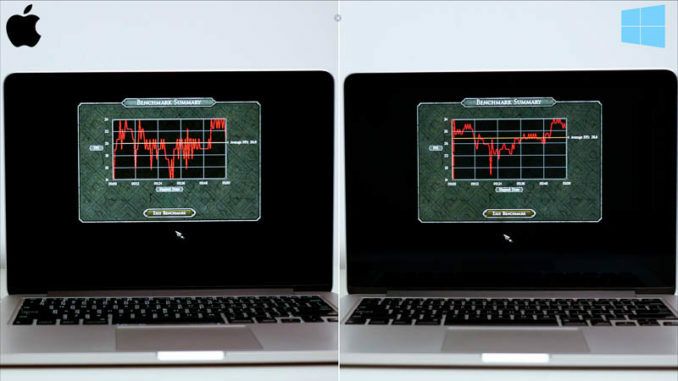 Of course it can be argued that it’s an unfair comparison as the MacBook Pro is a laptop, but the hackintosh is also significantly faster that the highest specification current 27″ iMac in these same tests. This machine flies through 4K video editing. Skimming is fast and smooth, with no dropped frames. 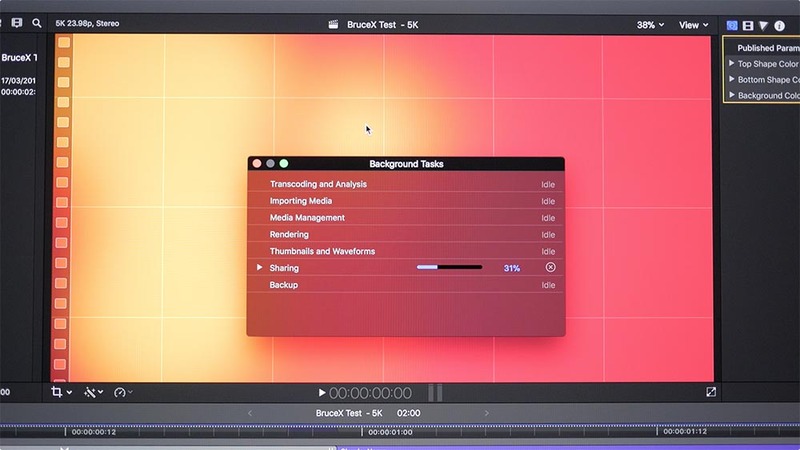 Effects are rendered quickly, and exports are much faster than my MacBook Pro. When working with 4K video, you’re inevitably going to need a lot of storage space. Being able to simply add a new internal drive is a major benefit. Another advantage of building a machine like this over a real Mac? Gaming. It just so happens that the very same things which make a computer good at video editing (powerful GPU, fast processor) also make a good gaming computer. So, if you ever feel like a break from editing video, at the press of a button you can reboot into Windows and play Windows games natively on a powerful graphics card without the need for BootCamp. The total cost of this system, not including a monitor, was $1000. 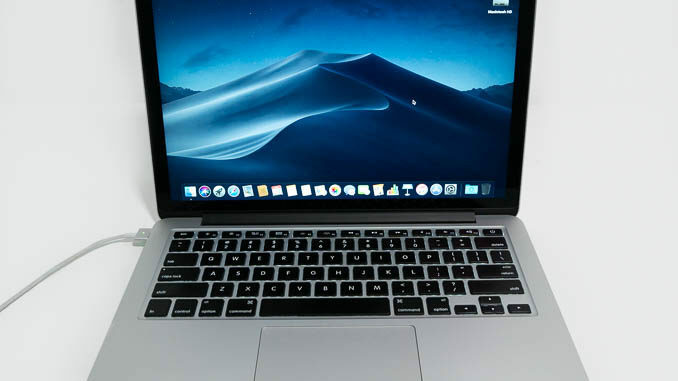 Taking into consideration the price of a Mac with the same level of performance, that’s a saving of at least $1500, even after taking the cost of a monitor into consideration.